At a meeting in the Russian city of St Petersburg on July 1, 2012, the Western Ghats of India, a 1,600km long mountain chain along its western coast, was inscribed as a UNESCO World Heritage Site (WHS). Thirty-nine sites within seven bio-diversity zones of this north-south running mountain chain, will be part of the newly designated WHS – all are either National Parks or Reserved Forests and Sanctuaries. Unlike the Himalayan National Parks, which remain uninhabited because of their rugged inaccessibility, those in the Western Ghats are inhabited, though scantily. Older than the Himalaya mountains ,the Western Ghats are believed to have been formed during the break-up of the super continent Gondwana some 150 million years ago. The mountain chain is the faulted western edge of the Deccan Plateau, and runs parallel to the Arabian Sea coastline. 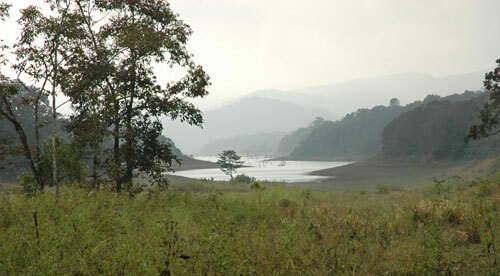 Though Western Ghats comprise about 7% of India's land area, only 15% of this forested range is protected. Endowed with unique forest ecosystems, its tropical evergreen rainforests, rivers and grasslands contain a high level of plant and animal diversity, including rare and endemic species, and at least 325 globally threatened flora, fauna, bird, amphibian, reptile and fish species. It is, not surprisingly, one of the world’s eight ‘hottest hotspots’ of biological diversity. Habitat transformation, over-exploitation, pollution, urbanisation and climate change have accelerated the recent bio-diversity loss. The exotic fauna of the Western Ghats includes the endangered Lion-tailed Macaque, Elephant, Gaur, Tiger, Jungle Cat, Leopard Cat, Wild Dog, Sloth Bear, Wild Pig, Sambar, Spotted Deer, Nilgiri Langur, Slender Loris, Bonnet Macaque, Common Langur, Barking Deer, Mouse Deer, Malabar Giant Squirrel, Giant Flying Squirrel, Nilgiri Marten, Common Otter, Brown Mongoose, Civets, Porcupine, Pangolin, Python, Cobra, King Cobra, Emerald Dove, Black Bulbul and Malabar Trogon and many more. UNESCO’s inscription could not have been timelier.